Research indicates that 4 in 10 American adults don't have the money to pay for a sudden, unexpected expense of just several hundred dollars — like a car repair. The solution is often a payday loan. That's an expensive way to borrow money, because annual interest rates can reach several hundred percent. But some organizations are trying to help people avoid payday lenders and borrow money more cheaply. 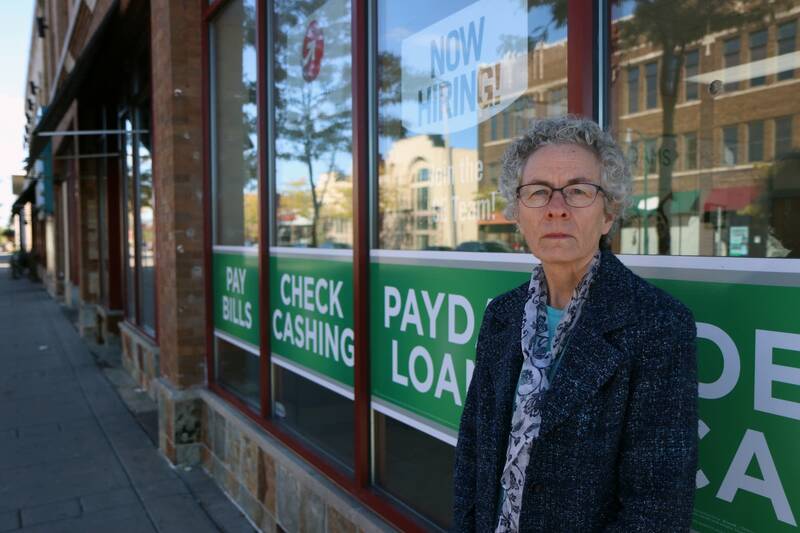 Melissa Juliette of White Bear Lake knows what it's like to be trapped by payday loans. 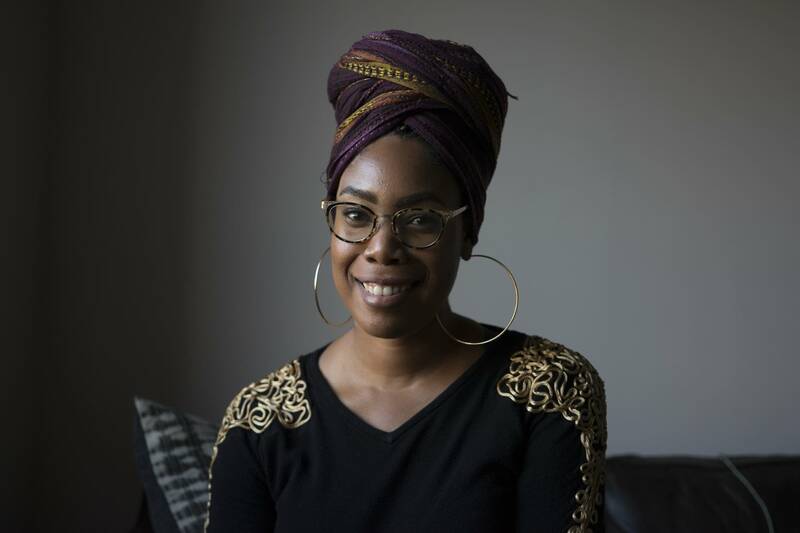 She now works at the University of Minnesota's Twin Cities campus. But two years ago, she was in a financial bind. She was a single parent and got hit with unexpected medical bills for her son and daughter. She took out a payday loan for a few hundred bucks. "I thought I could pay it back right away," she said. But she couldn't. On top of unexpected medical bills, her income dropped by surprise, leading to more payday borrowing. After about five months, she had about $1,200 in loans. Every two weeks, she owed about $100 in fees and interest alone. That works out to an annualized cost of about 220 percent. "I don't feel they need to charge the fees that they do," she said. "They're astronomical and unaffordable." Payday lenders contend high rates are necessary to make loans of a few hundred dollars worthwhile. They argue the vast majority of customers feel satisfied — not exploited — and that while the annualized interest costs are high, loans are meant to be held for just two weeks. Juliette said she couldn't cover her rent, food and other essential expenses and still make loan payments. This is a classic debt trap. The Consumer Finance Protection Bureau said many borrowers wind up in default, facing a debt collector. Lenders threatened to garnish Juliette's paycheck. 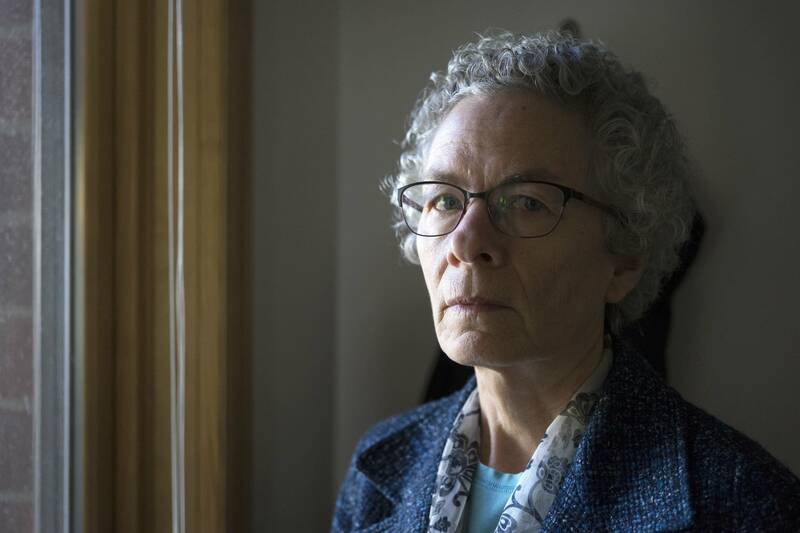 But she connected with Minneapolis-based Exodus Lending, which provided an interest-free loan to pay off her debts. The nonprofit's executive director, Sara Nelson-Pallmeyer, said Exodus has helped about 200 payday loan borrowers since April 2015. "We started because a payday lender opened on the same block as Holy Trinity Lutheran Church in South Minneapolis," she said. "People within the congregation were alarmed and disturbed by another outfit like this taking people's money out of the community." Exodus gets its capital in the form of interest-free loans from supporters. Exodus then makes no-cost loans of up to $1,000 to people struggling with payday loans. Exodus has made about $170,000 in loans. And 86 percent, are current on payments or have been paid in full, like Juliette's. Nelson-Pallmeyer's advice for people in a financial bind: "Do anything but take out a payday loan." But last year, Minnesotans took out some 330,000 such loans. They borrowed about $133 million, promising to pay the money back with upcoming paychecks. Under Minnesota law, interest rates on payday loans are not supposed to exceed 33 percent. The cap applies only to lenders subject to state regulation. But when you add in fees, loans of a few hundred dollars can effectively have annualized costs of 358 percent or more. Exodus will soon have company helping people avoid payday lenders. Village Financial Cooperative, based in north Minneapolis, plans to open as a credit union next year, serving people in Hennepin and Ramsey counties with a focus on community development. Anyone who lives, works or goes to school or church in either county can be a member. • MPR News with Kerri Miller: What would happen if big banks competed with payday lenders? Village Financial development director Me'Lea Connelly said the credit union's goal will be increasing access to banking services, including low-cost, short-term, small loans. "Something with a reasonable interest rate and flexible terms for community members that are just looking for a little cash to make it to the next payday," she said. "Now, the only financial institution that exists on the North Side is U.S. Bank. But U.S. Bank's one branch is drowned out by the many predatory lenders that exist on the North Side. We want to make sure that there is something aside from that that folks can go to." Of course, if Village Financial is to be sustainable, it can't make a lot of loans that don't get paid back. But Connelly said the credit union will be mission-driven. "Credit unions and our effort in general are focused on people, not profit," she said. "And so, the first thing that we want to know is, what impact are we going to make in our members' lives, what is the need the community has and where are they asking us to step in?" Connelly said if customers are not prepared to take on a loan, they'll be offered help getting their finances in order. "We don't believe in the word denial," she said. "You either get approved or you get a plan. This is a commitment to our members, saying that we're going to work with them to meet their financial goals." More than 1,600 people and organizations, including the city of Minneapolis, have pledged to help capitalize the credit union. Connelly sees Vancouver-based Vancity as a model for what she does. Another could be Self-Help Credit Union, which serves the Carolinas, Florida, California and Illinois. It's among the biggest community development credit unions. They focus on serving low-income people and economically distressed communities underserved by lenders. Stephen Reardon is the credit union's director of retail lending. He said his institution often makes loans of a few hundred bucks to help members. "These small loans, there's really no way to make them pay for themselves," he said. "But we have a variety of programs and some bring in more money to the organization than others. And so, we use parts of our income to subsidize the parts that don't make money." At least five Minnesota credit unions already make small-dollar or auto loans to customers who usually would not qualify for a loan. MidMinnesota Federal Credit Union in Brainerd, for instance, has made nearly $1.5 million in auto loans to people with poor or no credit. So far less than one percent are delinquent. Jill Carlson is director of training and community relations at the credit union. She said the credit union received a federal grant that can offset losses from loans that go bad. That lets the credit union be more forgiving in judging a borrower's financial history. "We do want them to have a job, have consistent income to be able to make the loan payments," Carlson said. "But we also recognize that people have bumps in their lives." Meanwhile, some employers — including Walmart — recognize that, too. They are providing pay advances to employees caught in cash crunches between pay checks, working with California-based PayActiv. The company said it was founded to help millions of lower-income hourly workers who need small loans. And recently U.S. Bank said it would offer small, short-term loans, with annual interest rates starting at 71 percent. But even with more entities offering payday loan alternatives, their numbers seem puny compared to the hundreds of thousands of payday loans issued in Minnesota. The Consumer Financial Protection Bureau had drafted a new rule clamping down on payday lenders. Among other things it would require lenders to reasonably determine if a borrower can pay back a loan without failing to meet basic living expenses or other major financial obligations. But the bureau — which is led by a fierce critic of the agency — has announced that it's reconsidering the rule. Editor's note (Nov. 18, 2018): Village Financial hasn't opened yet. To clarify, it's still in the regulatory approval process but expects to open as a credit union in June.